First came the calamitous exit from the World Cup in Russia. Then a bitter race row and a splintered dressing room saw Mesut Ozil turn his back on the country. 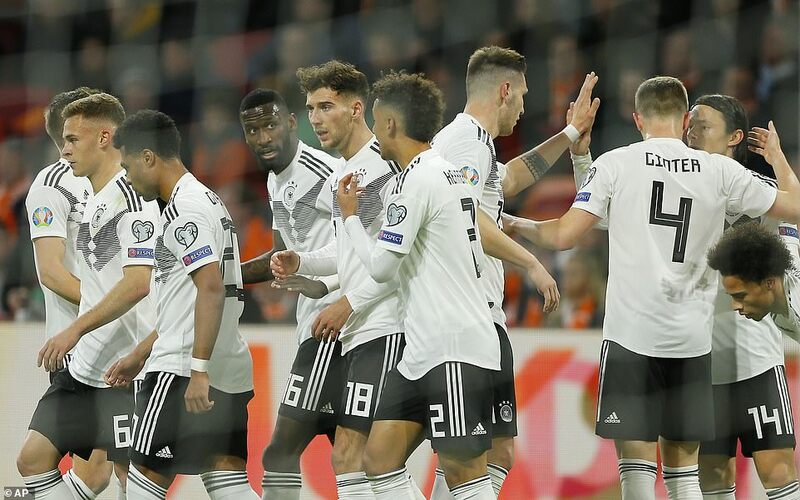 Germany suffered the indignity of relegation from the UEFA Nations’ League. Searching for answers, Low reached for the axe. He dropped World Cup winners Jerome Boateng, Mats Hummels and Thomas Muller from his squad entirely. In Amsterdam, Low’s decisions paid off spectacularly. Low placed his faith in Leroy Sane and Serge Gnabry, who each scored, and then introduced Marco Reus as a substitute in the 88th minute and the winger laid on the winner for Nico Schulz within two minutes of his arrival. On Thursday evening in Wolfsburg, Sane endured one of the most haunting nights of his professional career. As Germany slumbered to a timid home draw against Serbia, the Manchester City winger was subjected to racist abuse from his country’s own supporters. Sane, however, is a formidable character. Life has not always been easy in a German shirt and he was left out of the squad for the World Cup last year. For Sane to hide away would only satisfy the bigots. Instead, Sane delved into the reservoirs of his resilience and produced the finest performance yet of his international career. 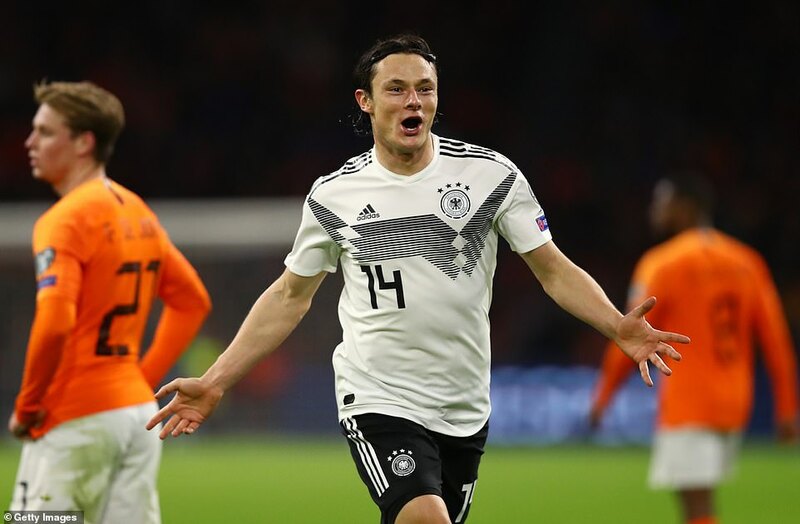 He punished a rare Mathijs De Ligt slip to score Germany’s opening goal and his direct running gave Virgil van Dijk a rare chasing on a night Joachim Low’s team discovered a semblance of their former selves. 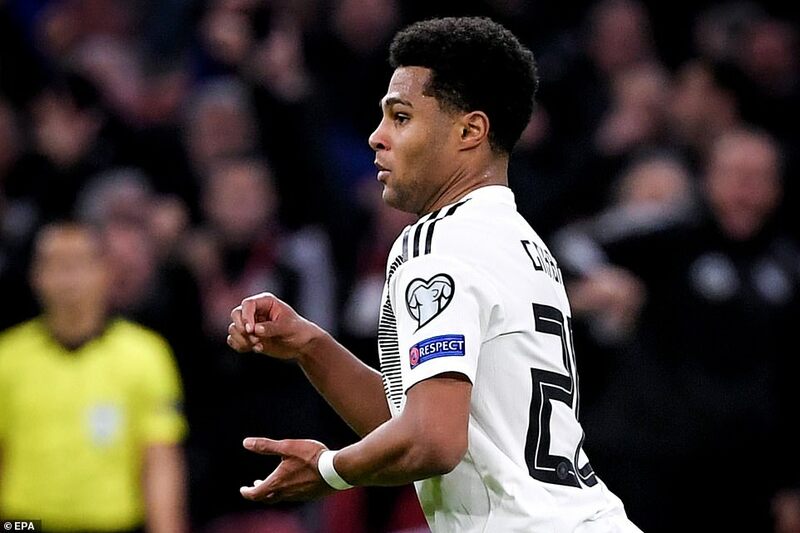 As Gnabry’s glorious curling strike nestled into the top corner, Germany soared into a two-goal advantage and Joachim Low pumped the air twice with his fist and let out a roar. Germany were outstanding in the first-half. Yet a fragility remains. Germany do not blow two-goal leads, do they? They do these days. 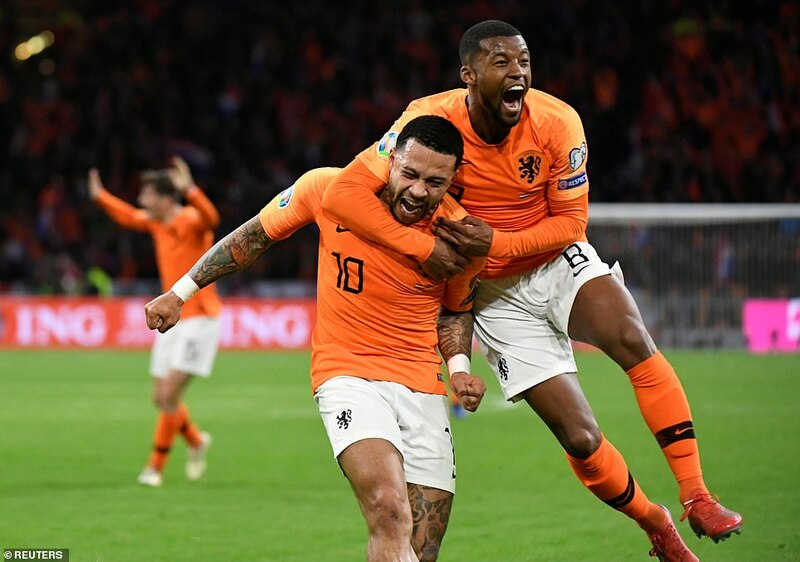 Holland missed out altogether on the last World Cup but under Ronald Koeman they have reached the final four of the Nations League and a young side, further energised by Ajax’s Champions League achievements, showed in the second-half how good a side they may yet become. Certainly, there will be plenty to concern Gareth Southgate ahead of this summer’s tournament in Portugal. On the third anniversary of Johan Cruyff’s passing, Holland pressed frantically and moved the ball sharply to turn up the heat and rescue the game. First De Ligt glanced in from a Memphis Depay cross and then the former Manchester United forward drilled in an equaliser. For Germany, it seemed to mark another setback. They had won only three of their previous fifteen international fixtures over the past 16 months and scored just fourteen goals during a doomed spell. The bitterness and resentment between these two nations lingers on. It could be heard in the Dutch whistles that drowned out the German national anthem and in the ferocity of the home response in the second-half. This was never likely to be a repeat of the infamous Frank Rijkaard and Rudi Voller episode but there were scores to settle. In the Nations League group stage, Holland destroyed their neighbours by a three-goal scoreline in Amsterdam. Low described his team as ‘headless chickens’ after that defat and here they sought vengeance. 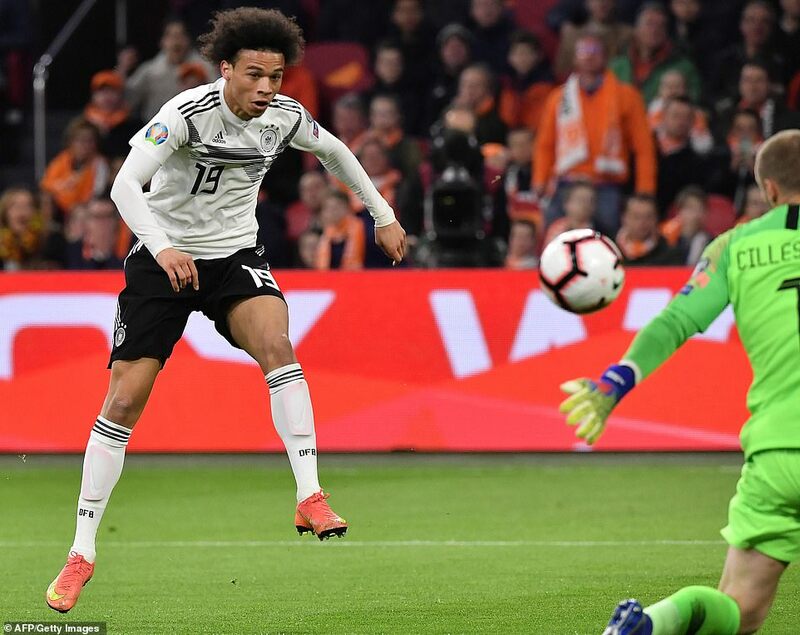 Sane punished a rare De Ligt slip to hand the visitors the lead but Holland should have drawn level as Ryan Babel was denied by Manuel Neuer. Gnabry then undid Van Dijk, slipping in behind the Liverpool defender and then checking back inside to caress the second goal into the top corner. Germany threatened to score a third. Gnabry threaded a pass in behind for Sane who ran beyond Van Dijk but thwarted by Jesper Cillessen. But instead, the fightback came and Germany seemed to wilt. Yet just as Holland’s hopes rose, Schulz struck the winner.